Win Safes & Security Equipment is the leading safe distributor in Malaysia, specialize in the sales, repair and opening of safe box and deposit box. 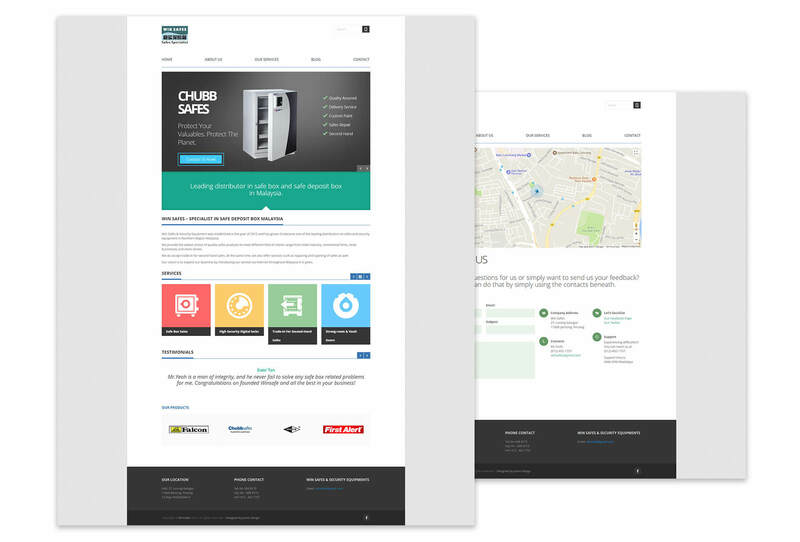 Win Safes request for a simple, modern yet not forgetting the element of classic business of design for their website. As for the end result, they are extremely satisfy with it! If you are searching for highly secure safe or deposit box to store all your precious and valuable belongings, Win Safes & Security Equipment is the best company that you can put your trust on.